Explanation: From planet Earth, we view this strongly interacting pair of galaxies, cataloged as Arp 81, as they were only about 100 million years after their mutual closest approach. 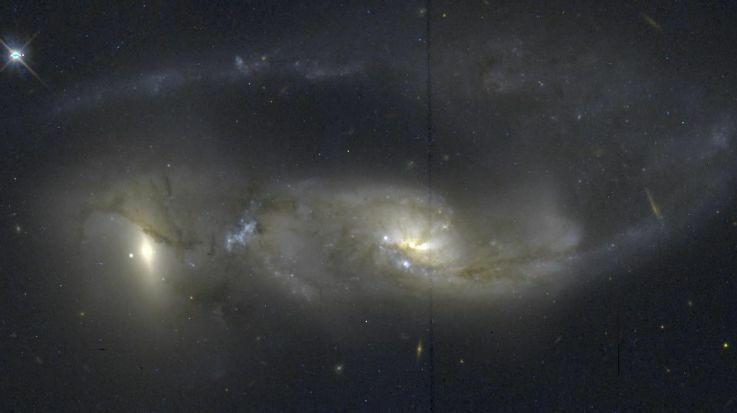 The havoc wreaked by gravity during their ominous encounter is detailed in this color composite image from the Hubble Space Telescope, showing twisted streams of gas and dust, a chaos of massive star formation, and a tidal tail stretching for 200 thousand light-years or so as it sweeps behind the cosmic wreckage. Also known as NGC 6622 (left) and NGC 6621, the galaxies are roughly equal in size but are destined to merge into one large galaxy in the distant future, making repeated approaches until they finally coalesce. Located in the constellation Draco, the galaxies are 280 million light-years away. 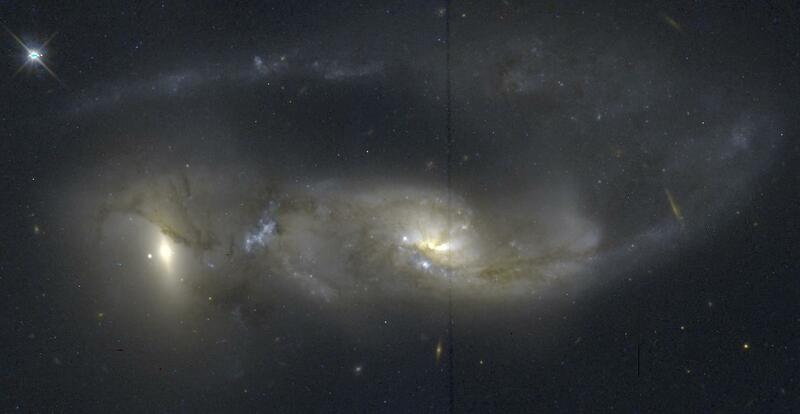 The dark vertical band which seems to run through NGC 6621's location is a camera artifact.